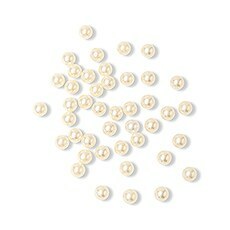 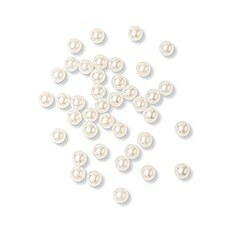 Like jewelry for your party table, scatter some glam with pearls and diamonds. 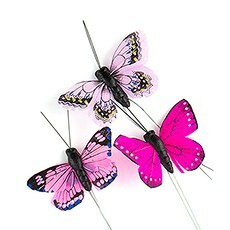 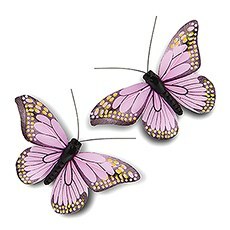 Celebrate your special event with table decorations that set the theme of your party. 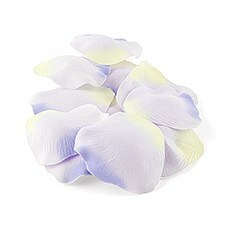 There's no better way to dress up your tables than with colorful wedding table confetti. 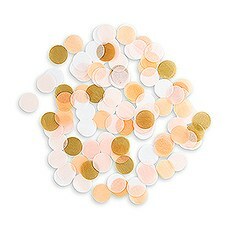 This assortment includes a huge variety of decorative confetti and table scatter in styles that suit a wide range of wedding and special event themes. 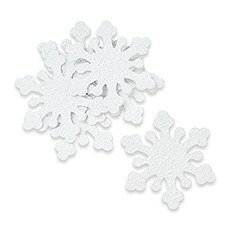 If you want to bring big color or texture, you can pepper your wedding dining tables, bar, head table, gift table, sign-in table or any other surface with eye-catching confetti from our vibrant selection. 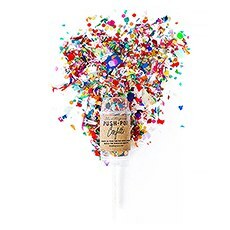 We also have super-fun confetti poppers that are an absolute essential for any grand entrance, exit or photoshoot, plus options that'll help dress up your gift bags, centerpieces and favors. 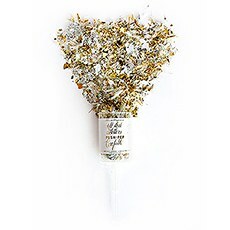 Shop confetti for weddings in all styles at Weddingstar, where you'll find everything from classic multicolored confetti to hand-painted butterflies and rose petals that bring a fresh, springy flair. 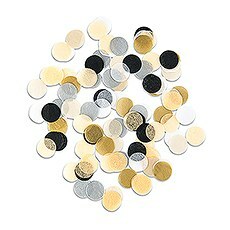 If your wedding theme skews glamorous, explore our variety of metallic and glitter confetti in eye-catching silver and gold. 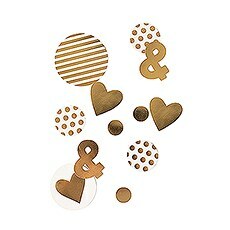 Our jumbo metallic party confetti is finished with trendy polka dots, stripes and ampersands for a cool addition to your trend-setting decor. 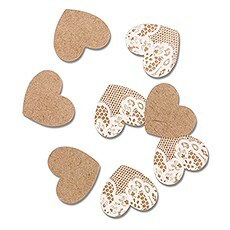 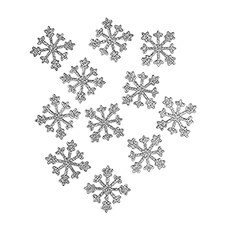 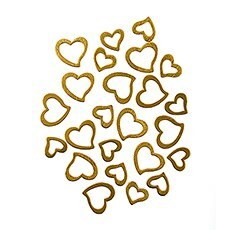 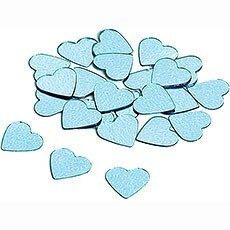 We also have classic heart-shaped confetti, snowflake confetti and country-themed confetti to suit your particular wedding motif. 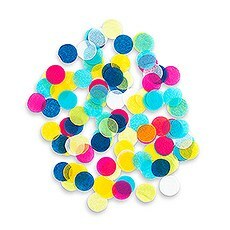 With confetti in every color under the sun, we're sure you'll find a style to suit your scheme here. 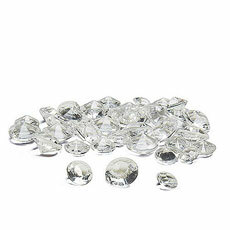 Prefer some extra texture and glam? 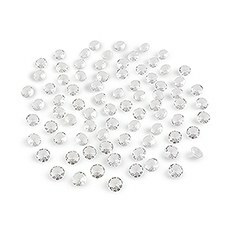 Explore our selection of eye-catching wedding table scatter, including glimmering faceted table crystals and gems. 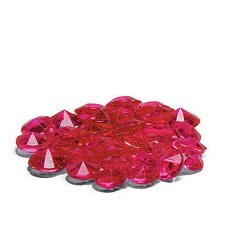 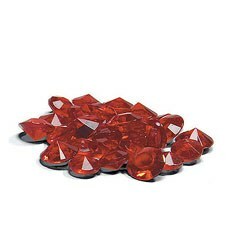 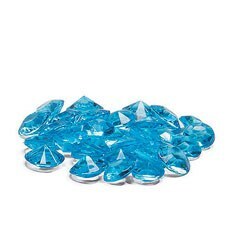 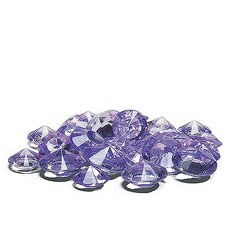 With diamond-shaped table scatter in red, clear, ruby, purple and blue, you'll find an option that's ideal for your color scheme in our assortment. 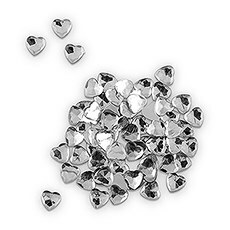 We also offer table pearls and heart-shaped jewels that you can use to complement any romantic, vintage, shabby-chic or fairytale wedding theme. 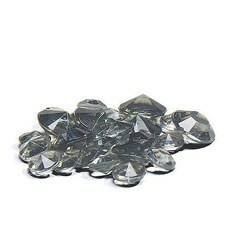 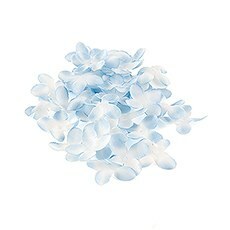 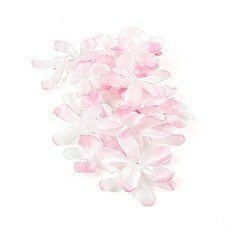 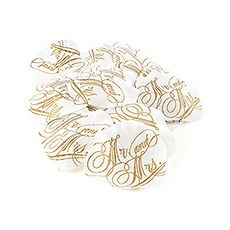 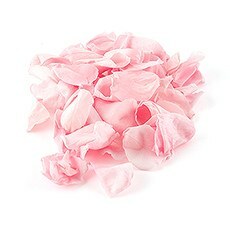 Ordering table confetti and scatter from Weddingstar is simple and affordable, no matter how much you need.